It was an invitation we couldn’t refuse. When the heavens opened on the day, I received a message: “I am English so rain never stops play!” I’m a sucker for a sense of humour, so we walked the 30 metres across the road and found a small but welcoming gathering. Raymond, our host, introduced everyone. “How long have you been here?” I asked. “Three years,” said he. We laughed. The reason for the get-together was Kubs and Ugen who have bought a house next door to him. They met on the street and asked what the neighbours were like and Raymond had to admit he didn’t know. We swelled the number present to eight including Raymond’s mom, Phil, visiting from the UK. It seems we were the sum total of those who responded to the invitation but those who didn’t were the losers, if only for the Indian delights Phil was churning out in the kitchen. This interlude was a gesture of friendship which personifies Melville as I know and like it. A couple of weeks ago we attended the PICA awards at Emperor’s Palace. We were soon chatting to a couple at our table and it wasn’t long before we discovered we all live in Melville. In the area a few years, Peter and Louise said they knew hardly anyone in the suburb. We have arrangements to redress that. There are so many small things to celebrate about Melville. Like Pierre Potgieter’s map that will soon be available. As he showed it to me, I realised his enthusiasm was as much a selling point as the colourful map itself. 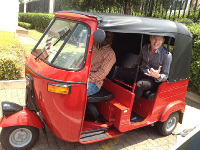 And then there are the e-tuktuks (below right) that are becoming commonplace on our streets. I like them because they’re eco-friendly, affordable, functional and should soon ease the decision of whether to eat in Melville or venture elsewhere by car. I’d hoped to celebrate the lights in 7th Street on December 1, but they weren’t there. 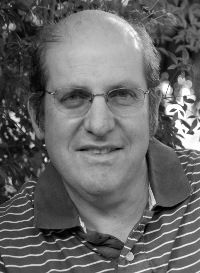 However, the festive spirit in the shops was in abundance and I’ve news for guest columnist Gus Silber (below), the little shop is back in Melville – or maybe it never went away. 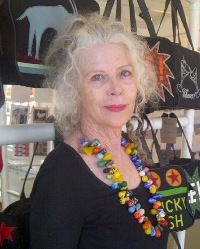 Rosemary’s Reminiscene has been flying the flag for years, as has Edna’s Hobo Collection which sparkled on the night. I positively covet the fabulous fabrics and embroidered cushions in Cupboards & Stuff, which together with the studio next door called & More Design has brought a touch of décorclass to Melville. Then there’s the Wrapping Room round the corner in 4th Avenue, a delightful specialist store. Don’t go anywhere else for your decorative paper, ribbons and cards – or to have gifts wrapped. Another detail I cannot omit is Melville Koppies’ drive to register 200 new My Planet cardholders (at no cost to you) which will qualify the Koppies as a Woolworths My Planet beneficiary. Please email Wendy Carstens at fomk@mk.org.za for a form. Registration means Woolworths will contribute to the Koppies each time you buy at the store. Labour and maintenance of MK currently cost R11 000 per month. On a more sombre note, the sad death of Heidi Holland continues to haunt me every time I pass her house or guesthouse. As Pierre Potgieter put it, Heidi was a real trooper who worked under the radar to put Melville on the map. I salute her memory. Gus Silber asks where have all the small shops gone? Best known to a generation of women for her delicate lace and pearl creations, Merle Payne’s transition from Pearls in 7th Street, Melville, to Barok, a rural project with women in Limpopo, was circumstantial. Suzanne Brenner caught up with her. A sea change from Pearls, her earlier “emporium of nostalgia” which opened its doors in 1977, Barok is a multicultural textile initiative Merle launched five years ago to help unemployed women in the region near her family’s farm in Magoebaskloof, where she now lives. Barok unites Shangaan embroidery, Zulu stud-work and Xhosa machine-stitching with Venda-style bordering and Ndebele geometric patterns to produce what Merle calls “over-the-top wearable art”. Merle’s 2012 annual exhibition at Bamboo showed Barok’s hand-crafted skirts, handbags, flags, cushion covers and wall-hangings featuring “African pomp” and European designer influences. “I’m fascinated by the blend of old world quality and craftsmanship with African colour,” says Merle. Barok couldn’t be more different from Pearls, which still holds a magic place in Merle’s heart; she thrived in Melville when small shops were the norm and L’escargot was the only restaurant in the immediate vicinity. “More than anything, I loved the village atmosphere,” she says. Another recollection makes her smile. It was Merle and (ex-husband) Malcolm’s first wedding anniversary and live music invited them outside where they found Nino in the street, playing his bassoon in their honour. She muses on the time it took to introduce Johannesburg to her unique style. “In the beginning, I travelled to London to buy vintage clothes but many customers were squeamish about wearing ‘dead people’s clothes’ so we started unpicking the really good styles.” Merle recreated the dresses in vintage fabric salvaged from old stock found in ‘Indian shops’. But, to coin a phrase, all good things come to an end and after 18 years, divorced and feeling jaded, she returned to the farm where she was born. Fortunately, country life has once again released her creative spirit. I ask what challenges lie ahead. Journalist and author Gus Silber bemoans the apparent demise of small shops in Johannesburg, once the mainstay of the Melville shopping experience. There used to be a wonderful little DVD store called DVDGurus in 7th Street, Melville.I say used to be, because the last time I drove up and down 7th Street looking for it, it wasn’t there. I admit this may be my own fault; I have a terrible sense of direction, and I may have been driving up and down the wrong street, or looking for the store on the wrong side of the street. But I even went as far as pulling over and dialling 1023: “Hello, I’m looking for a number for DVD – no, not BBB, DVD – no, not Uhuru, Gurus…” And then calling the number and hearing that nice Telkom lady telling me that the number I had dialled did not exist. So I may as well accept it. The store is no more. This is a pity, because it was a special place, a haven for cinephiles, with French New Wave and Korean Horror and Manga and Film Noir and Hong Kong Kung-Fu lining the walls, instead of the usual lazy Hollywood categories of Action and Adventure and Comedy. But more than that, the people who ran DVDGurus were true movie–lovers, with an uncanny knack for being able to recommend exactly the kind of movies you would love too. Of course, they could have just glanced at your rental history on the computer screen, but that wasn’t their secret. They lived and served by the human algorithm of getting to know and understand the customer. I found it impossible to walk into DVDGurus and walk out with only one DVD in my hand. They encouraged and facilitated splurging at this store, not by selling hard, but by stocking good stuff and knowing and caring about the stuff they stocked. They were, to use the current buzz-phrase, a “boutique store”, specialists in their field, offering personalised service and hard-to-find goods to a small but loyal niche. There aren’t too many of these stores around anymore, alas. I remember Street Records in Braamfontein, run by a quietly-spoken guy named John, who would drop the needle onto the groove with the evangelising power of a Southern pastor. If he recommended a record – he refused to stock CDs – and you turned out for some reason not to like it, you could bring it back for a full refund. I never brought a record back, in all the many years I shopped at Street. I remember Wolf Weinek, with his beard and his spectacles and his lovely Austrian accent, who ran a little bookstore at the Market Theatre precinct, and later in Melville. He didn’t sell second-hand books, as much as he found happy homes for them. He, too, knew his customers by name, and by their individual tastes and passions. Yes, Amazon.com traffics in that data too. But it’s not the same thing. And yes, you can buy books and music and movies in the big stores at the lifestyle malls, but the people behind the counter do not really have the time to indulge in idle chatter beyond “Cheque or savings?”. And they will know your name, yes, but only from quickly checking the signature at the back of your card. We need small stores run by interesting and interested people, not because they necessarily fill a retail need – how many of us still rent DVDs, after all – but because they connect us with people of like mind, and they remind us that the deal is even sweeter when you’re buying from someone who loves what they’re doing, and isn’t just doing it for the money. From Elzabé Zietsman’s abode high up on Brixton ridge, you can see forever. It’s here she lives, dreams and makes things happen. Suzanne Brenner shared her view. She’s tall, lanky and talented, and when she makes the effort, gorgeous in a Marlene Dietrich way. Actress, singer, chef and promoter of talent, Elzabé’s lead role is whatever takes priority at the time. Currently, it’s her Doilie Foundation, a private club that grew out of necessity when pesky neighbours forced her to close down a guesthouse and restaurant. But being Elzabé, her foundation has become an obsession not a convenience.Seeking a charity to make her own, she didn’t have to look far. A friendly neighbour introduced her to Clinton Mekgwe, a talented young musician who’d impressed on the Hillbrow Outreach Programme. 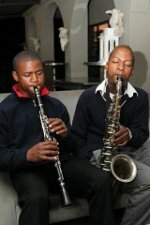 Accepted as a student at the National School of the Arts, Clinton needed a cello, his preferred instrument at the time (but pictured below right on saxophone, with Naledi Dweba). Elzabé’s network kicked in. Lovemore Music Store in Brixton offered a substantial discount on a new instrument. Generous private donors swelled the fund beyond need, so a trust account was set up. It has paid Clinton’s school fees and other expenses ever since. That was four years ago. This year The Doilie Foundation NPC was registered as a Section 21 company with the club as the fundraising arm. The private dining room is currently its main generator of funds, with excellent entertainment frequently part of the mix. New protégés have presented themselves and the foundation’s commitment to young artistic talent continues.As club membership grows, so do Elzabé’s plans for the Doilie Foundation. She dreams of a dedicated house for young students, some of whom she now mentors and even fosters. I tell her it feels very déjà vu. As long as I’ve known her, she’s been helping and housing other people’s children. “So you’re asking why at 51 I’m still playing mother?” she asks rhetorically. “I need to,” she says simply. It’s an answer that speaks volumes. 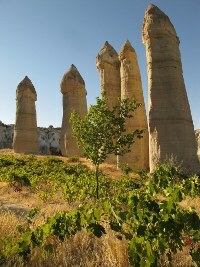 While travelling in Turkey recently, Jane Griffiths stayed in Aydinli Cave Hotel in Goreme, a town in the Cappadocia region with fantastical rock formations. Here she shares the experience. I quickly discovered that Mustafa, the owner of the family-run hotel, and I share our passion for vegetable gardening. He invited me to join his family for lunch and to visit their gardens. Helping pick the chilli harvest later in the afternoon after a deliciously fresh lunch, Mustafa told me that he had not seen money until he was 12-years-old. Not that he came from a poor family – they just didn’t need money, as everything was home-grown and home-made. Much has changed in the region in the 45 years since Mustafa was a kid. There are no longer vegetable gardens behind every house. In the valleys nearby, where we spent hours hiking and exploring soaring fairy chimneys of rock, there are remnants of what once were productive fields. Grape vines, untended and tangled, drip down the rock face, bursting with sweet green fruit. Piles of red apples gather under abandoned trees and bramble berries tumble into the pathways, hooking me and demanding that I stop and forage. I can smell the fig trees before I see them, as the Mediterranean fig leaves have a distinctively seductive scent. They are in season with velvety smooth, inviting purple fruit. Around one corner I discover a well tended vegetable garden, with plump eggplant, abundant chillies and masses of herbs. It illustrates how fertile these valleys are and it is an example of a future that Mustafa envisions. He is running for mayor soon and if he is successful, he plans to install vegetable gardens in all these valleys again. He wants to utilise a method similar to the allotment system in the UK. He talks of eco tourism and sustainability, community harvests and reducing the town’s carbon footprint. I might be in another country, on another continent, but we are speaking the same language. It was wonderful to come back from my travels to find my new book, Jane’s Delicious Herbs, on the shelves in the book stores. When I started planning this book two years ago, I decided I would only write about herbs I had grown. Even if this decision resulted in a smaller book, I wanted to stick to what my readers have come to know and trust – that I write from my own experience. To my surprise, my list had nearly 80 different herbs! Instead of a ‘smaller book’, Jane’s Delicious Herbs ended up a whopping 296 pages – my fattest book yet. It has been a joy writing it. In addition to information on growing and using herbs, it includes hands-on advice for setting up and maintaining an organic herb garden, a quick reference healing guide and over 100 fun and useful recipes for making the most of the herbs in your garden, whether for cooking, healing, cleaning, pet care or simply feeling good. 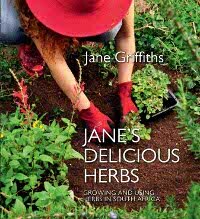 Jane’s Delicious Herbs is the third in the series published by Sunbird Publishers, a division of Jonathan Ball Publishers. Born in the United States and living in Somerset West after some years’ absence, Jillian Reilly’s first encounter with South Africa was Melville. She’s had a soft spot for the suburb ever since and ‘came home’ to publicise her first book. I still remember Melville in 1993. Sitting at De La Crème feeling suitably grown up sipping a sugary cappuccino and counting the number of black people walking past. I smiled at each of them, while they did their best to look away from this oddly solicitous woman in the window. And I recall furtively taking a photo of a ‘Right of Admission Reserved’ sign to send back home to St. Louis, Missouri as proof of apartheid in action. Proof of the bravery of the photographer. Melville, 1993, is where my book, SHAME: Confessions of An Aid Worker in Africa,begins. People often raise their eyebrows when they hear my book’s title. Shame, really? In a book about aid work? Well yes, in fact, a book in two parts: ‘Ag shame’ and ‘Shame’. Ag shame is about the naiveté of a 23-year-old do-gooder in the New South Africa being seduced by the power of possibility – and the possibility that she could be powerful enough to save ‘them’. The second part, Shame, follows a now 27-year-old woman running a big money HIV/AIDS project in Zimbabwe on the cusp of its collapse. A woman who over a period of three years there came to feel tremendous shame for my own suffocating sense of futility and mediocrity, and even shame for ‘them’ who chose not to save themselves. I have self-published SHAME in order to tell my story and to contribute to a conversation about how billions of dollars in aid funding might actually make a lasting difference. People say it’s a brave book. I just smile. Oh to feel just a little bit brave again. I was recently back in Melville for the launch of SHAME at Love Books. Melville has grown up too since 1993: it’s flashier and friskier and somehow more knowing. Maybe we all are. SHAME: Confessions of An Aid Worker in Africa is available at Love Books as well as through Amazon, IBooks, Kalahari, and now Kobo, which has just launched through Pick and Pay. To contact Jillian, go to her website www.jillianreilly.com. Linda Hodson’s quiet demeanour belies her physical strength as a sports and remedial masseuse. She is also a Pilates instructor. Suzanne Brenner, one of her clients, elaborates. Linda says her active nature was nurtured while growing up on a farm in KwaZulu-Natal. On finishing school, she studied for a BA at the University of Natal (UKZN), Pietermaritzburg, but, still undecided about ‘what to do’, she went on to study veterinary nursing at Onderstepoort. 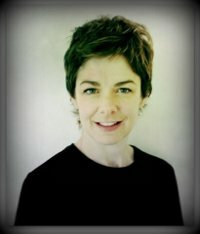 Linda completed a basic massage course part-time in London. In her spare time she indulged her love of the outdoors at the Richmond Canoe Club. “I met many talented sports people,” she says, “who introduced me to adventure racing.” She’s proud to have completed The Devizes to Westminster International Canoe Marathon, ‘one of the most demanding endurance events on the planet’. 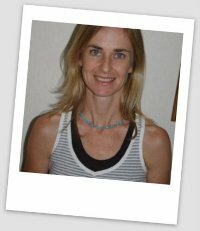 Returning to South Africa, Linda qualified as a sports masseuse and opened her practice Bodyworks in Johannesburg. She was immediately in demand. Linda also works with athletes to achieve their sporting goals by helping them to avoid injury and recover from hectic training programmes. Hanlie Burger has a medical social work background, but in the late 1990s she changed careers and opened Salon Sophistique in Melville, where she lives. More recently she branched out again. As a beautician, Hanlie’s clients frequently ask for recommendations of skin care products for children. A cursory investigation revealed there were no products for children aged five to 12, who are too old for baby products and too young for teenage products. Hanlie saw a business opportunity and with the support of her engineer husband Andre, she decided to develop a range for children including cleansers, moisturisers, lip balm, after sun care and sunscreen. Skin Kidz was born. Recognising their own limitations, the couple consulted Professor Aubrey Parsons, an honorary senior researcher in the Department of Botanic Biology at UNISA, who’s also a researcher and developer for Nimue Skin Technology. The professor formulated the products and Andre did the groundwork, sourcing natural ingredients for the Skin Kidz Xzema skin range. For their sunscreen bottle, the couple worked closely with their packaging company to come up with a novel bottle that has already won various awards including an International World Star and a SASOL trophy for innovative packaging. 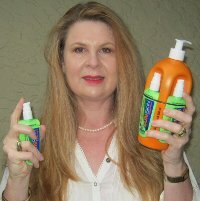 Its standout packaging also led to the Skin Kidz sunscreen becoming their main product focus. The Burgers decided to extend its appeal and rebranded it as Sun Skin for the whole family. With his eye on the future, Andre underwent further studies in cosmetic chemistry and now the couple manufactures their own product and distributes to select outlets nationwide. Andre serves on the national sunscreen working group and was recently invited to be part of the SABS standard evaluation committee. For more information, go to www.sunskin.co.za or contact Hanlie on 011 726 3705. Melissa is one of the helpful receptionists at Richmond Animal Hospital. Through unforeseen circumstances, she is in urgent need of a pet-friendly cottage to share with her two dogs and two old cats. She also needs safe parking for her car. Melissa, in her 30s, is extremely reliable, quiet and a non- smoker. With limited resources, she can only afford R1500-R2000 a month and requires accommodation before 31 January, but can taken occupation anytime beforehand. Area is not an obstacle. Telephone Melissa on 079 226 9559 or at work before 1pm on 011 726 6323 or email mpeslick@hotmail.com Reference: Resident vet, Dr. Charmaine Leydekkers. Melville News Free Subscription – see right hand column. Melville News Team – see below right. 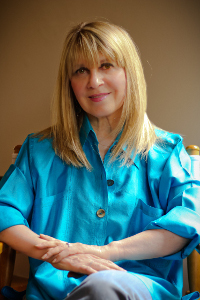 Melville News is an independent newsletter wholly owned and distributed by Suzanne Brenner. © Unless otherwise stated, all content is the copyright of PROWRITE WRITING SERVICES CC.